WOMEX travels around Europe not only to bring WOMEXicans to interesting places, but also to strengthen the local world music scenes in the area. And here we have a perfect case-in-point: following the success and fueled by the sweet memories of WOMEX 15 in Budapest, Hangvető and CAFe Budapest Festival (the contemporary arts festival of the city), have decided to launch the capital's own international world music festival and conference of the capital, Budapest Ritmo. The event includes a four-day festival with 28 concerts that will bring beauty and inspiration. The event will have special focus on Eastern Europe and this year’s partner country, Norway, including the first-ever cooperation of Sami and Roma musicians. The line-up includes international headliners such as Noura Mint Seymali and The Meridian Brothers, regional stars as the Hovanissian-Gültekin Quartet, Amira Medunjanin, Federspiel, Svjata Vatra as well as some first time special appearances, like the Hungarian Cimbalomduó playing together with Tarek Abdallah and the unique trio of three well-known Hungarian women singers representing Hungarian, Roma and Jewish traditions. 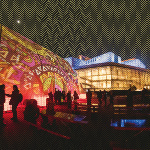 A showcase stage will be dedicated to emerging artists from around Central and Eastern Europe. 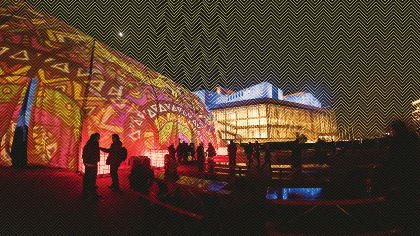 The festival and conference will be held in the familiar venue of the WOMEX showcases, Müpa Budapest (Palace of Arts) between 13 and 16 October 2016. The conference will focus on topics such as music and identity, European Capitals of Culture’s approach to world music events, UNESCO Intangible Heritage, world music and tourism and Sami music culture among others. For the detailed conference programme information, see the Budapest Ritmo website. If you wish to participate, please contact andras@hangveto.hu for special arrangements for international delegates.